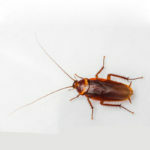 Understanding basic cockroach biology and behavior is essential to the professional who attempts to manage cockroaches. Also, the more that is understood about cockroaches, the greater the likelihood of success on those occasions when standard or preferred management methods do not work or cannot be used. Consistent and effective cockroach management requires a lot of planning and organization to develop a multifaceted program that includes inspection and survey, treatment, client education and follow-up.